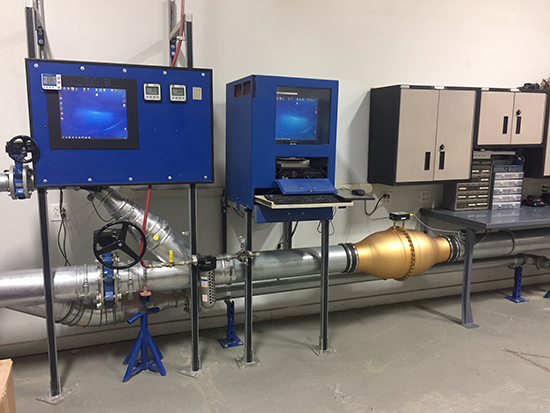 The lab is configured to test precleaners, air filter elements and complete air filter systems with air flows up to 1500 cfm used in off-highway, construction and military markets. All measurements are in strict accordance with ISO 5011 test standards and protocols, as well as military specs. We also test to validate designs and identify each product’s true capabilities. In addition the lab’s precision controls enable Maradyne to ensure stable and repeatable results across a wide variety of simulated air intake systems. With multiple test legs, the lab can be used for internal development work and offered to OEMs and other customers to assist in development and/or validation of their own components and total system performance for vehicles or applications. Today, with solid modeling, rapid prototyping and in-house laboratory capabilities, Maradyne can come to market much quicker with new products, such as the all-new turbo HD, especially suited for the demands of OEMs and end users in the landfill and agriculture industries.